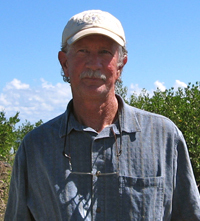 Roy R. “Robin” Lewis III, has over 40 years of experience in seagrass meadow and mangrove forest mapping, management and restoration in the USA and twenty-two foreign countries. Mr. Lewis and vice president Curtis Kruer were associated with the world’s largest and most successful seagrass and mangrove forest restoration project. A total of 134.2 acres of seagrass were successfully restored to offset approximately 100 acres of seagrass impacts associated with the replacement of 37 bridges in the Florida Keys, Monroe County, Florida, USA. In Hollywood, FL, 1,250 acres of mangroves were restored under the direction of Mr. Lewis as part of the West Lake Park and Environmental Education Center development. Mr. Lewis was the senior professional in the design, implementation and monitoring of the stabilization of Pelican Island within the Pelican Island National Wildlife Refuge, near Sebastian, Florida. The refuge was the first established in the world, when President Theodore Roosevelt designated it in 1903. The innovative application of marsh and mangrove restoration techniques developed by CRG resulted in stopping existing erosion and expansion of this important bird nesting area. More information on all these projects and others is available at www.mangroverestoration.com and www.seagrassrestorationnow.com. 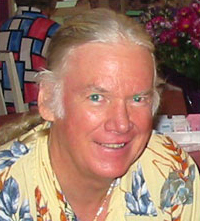 Curtis Kruer began his professional career in the Indian River Lagoon in the mid-1970s and later spent 11 years working for state and federal wetland regulatory agencies in the Florida Keys. 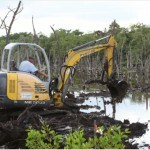 Restoration and protection of the unique wetland and shallow water habitats of south Florida have been a primary focus of his conservation work as an independent contractor since 1988. He managed the successful Florida Keys Environmental Restoration Trust Fund during the 1990s and led projects to map and eradicate invasive exotic vegetation there. Mr. Kruer mapped and described wetland habitats for a keyswide EPA Advanced Identification of Wetlands project, mapped and described terrestrial habitats of the Keys, mapped coral reef ecosystem habitats throughout the Keys, Puerto Rico, the U.S. Virgin Islands and Biscayne National Park, and mapped prop scars for the state boating impact assessment. He has assisted in the preparation of litigation and court cases on numerous occasions and has provided expert testimony in state and federal court related to the protection and management of Florida’s coastal wetlands and shallow water habitats. In recent years, Mr. Kruer and Coastal Resources Group have assisted with seagrass restoration projects in Tampa Bay and assisted Everglades National Park in defining the extent and significance of the boating impact issue in Florida Bay. 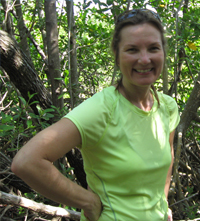 Laura Flynn is a wetland scientist and practitioner specializing in the restoration and conservation of coastal habitats with a primary focus on mangrove, salt marsh and seagrass ecosystems. Ms. Flynn has 15 years of experience working with Mr. Lewis and CRG in coastal conservation and educational outreach programs to promote awareness and restoration techniques to improve the success of projects by all restoration practitioners throughout Florida. Ms. Flynn has mapped historical longshore bars for the management of seagrasses by the Tampa Bay National Estuary Program and is currently assisting Charlotte Harbor National Estuary Program with the mapping of mangrove and salt marsh habitats throughout Charlotte Harbor. Ms. Flynn has worked with Mr. Lewis to complete over 20 local restoration projects including the restoration and preservation of islands within Pelican Island, the nation’s first National Wildlife Refuge, and the restoration of approximately 100 acres of mangrove, salt marsh and oyster habitat near the Alafia River, Tampa Bay. Ms. Flynn assists with coordination, mapping and field work to implement the restoration of approximately 200 acres of mangrove forest at Rookery Bay National Estuarine Research Reserve (RBNERR) and works with research partners on new techniques and approaches to identify areas of mangrove stress prior to die off of these habitats. Ms. Flynn facilitates the sale of mitigation credits and the subsequent implementation of large scale mitigation projects for the Keys Restoration Fund Federal In-Lieu Fee Mitigation Program in the Florida Keys.